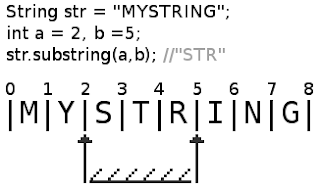 One my friend asked me how to memorize these string manipulation functions in most of modern programming languages. Why the hek first argument in substring is zero based and second one is one based? 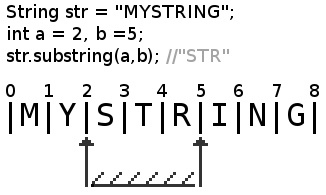 So, when you say “substring”, you ask computer to take a string between these separators and (a – b) will be amount of numbers to substring. If a==b, then you substring zero characters. The same about functions like insert, it inserts a string onto the separator, because you usually need to insert the string between characters, not onto them.